Alliteration aside, I’ve completely committed myself to listening to Leapling. It reminds me of the great music that was being made by Voxtrot before you all turned your back on them, even though you know you loved that LP. It’s the best sort of pop music; it’s got lyrics you’ll remember and sing, great melodies and a bouncing spirit. Just listening to this track once isn’t the way to go, you’ll have to give it 4-5 spins, only because that’s what’s good for your soul. Look for Suspended Animation on June 10th via Exploding in Sound. 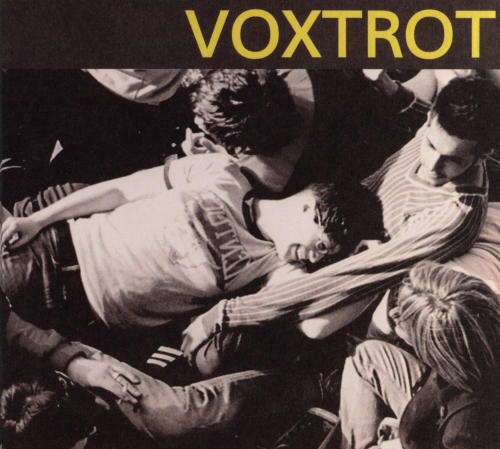 I think one of the most disappointing moment in recent Austin music history was the disbanding of Voxtrot. Sure, members have gone on to work on various things, and other bands like Literature and She Sir stepped in to fill the void, yet nothing quite seems the same. Classic twee pop sounds with bounce to make your feet shuffle and guitar licks to bring a smile to your face epitomized the great act. I had recovered for quite some time until the following track below came on my shuffle last night; it brought back the sadness all over again. At an early age, the group was able to release this track on the excellent Raised By Wolves EP, and they never let me down afterwards…that is until they walked away. I think we should all sit back and just enjoy this sweet tune. 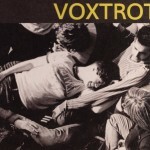 For those of you who’ve missed the effortless pop from Voxtrot (I know I do! ), rest assured that Ramesh isn’t giving up on things just yet. A year or so ago I ran a tune that Ramesh was working himself, and then yesterday a few sites popped up with new tunes; it shouldn’t surprise us since he’s got a few shows around Texas with our friends Orthy and Young Girls. This new tune (one of two) is a slow-tempo piece of bedroom pop, though there’s additional musical accompaniment that makes the song swell with effortless beauty. I’m always happy to hear more from one of my favorite Austin artists. Sad times are upon us my friends. 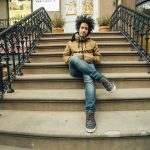 Emos has begun to close its doors; it even made big waves with the people over at Pitchfork. As we near the closing of the original Emos, we culled our favorite memories of the venue, and we hope you’ll share your favorites with us as well. 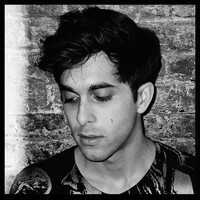 I wondered what happened to Ramesh, formerly of Voxtrot. Personally, his songwriting was always really affecting, so I am glad to see he’s getting back out there. 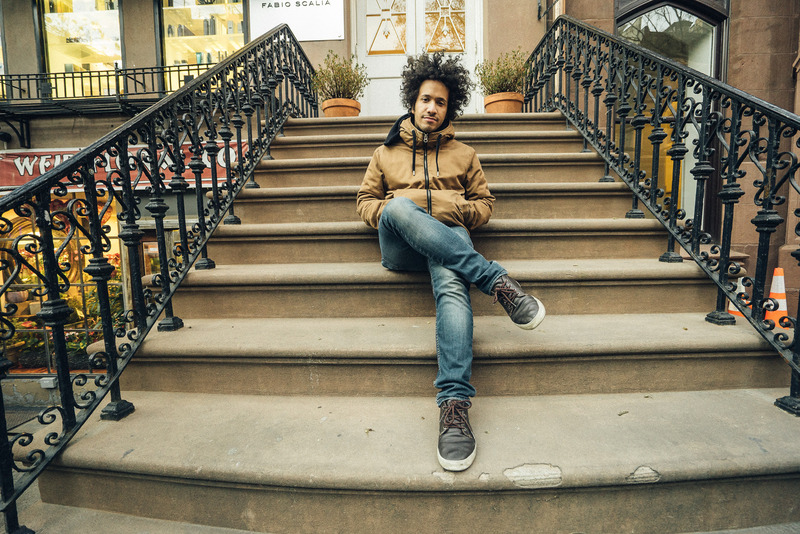 Floating around the Internet is his EP 1, which you can stream right HERE for your own listening pleasure. It’s still got that soft quality of pop that you came to expect from his old group. Not sure if he’s still writing from Austin, but I’m going to claim him as one of our own, as we need all the good musicians we can get. Best of luck to Ramesh as he gets back out there in the music world. When their EP, You’re So Quiet, came out awhile back, you wouldn’t have been off to declare Hollywood Gossip one of Austin’s best twee bands. They sounded sunny with trademark jangling guitars cutting back and forth across the short collection. But, a year and a half later, they’ve matured on Dear as Diamonds, albeit in their very own style. It looks like Austinites can now rejoice, as we finally have a quality band to fill the void left by the recent break-up of Voxtrot. “Sleepwalkin” begins the album in a similar place that we last found the group, but the slight changes, such as letting the guitars ring for just a bit longer, give the song a little bit more warmth. What used to be covered in witty lyrics and crisp guitars has now evolved into a full sound, moved forward by a rambunctious closing moment featuring exuberant shouts from singer Tyler Womack. It’s these closing moments, and time changes mid-song, such as in the various spots on “Summer Haze” that point towards a band who’ve grown quite a bit. “Turn It Up” is definitely one of the many feel good songs you’ll find on Dear as Diamonds, and this is the first time you’ll notice some changes in the vocals of Womack. In the past you might have found hints of groups like The Smiths, but on this track you can definitely hear a bit of Hutch from The Thermals; you should really dig this song. This track offers a grittier guitar as well, which is just another show of the progress the band has made. But, don’t think that their catchy jangle-pop days are completely gone. “Narcissus in a Window” uses a bubbling bass line for a backbone courtesy of Cory Ryan, and starts with that jangle we’ve come to associate with Hollywood Gossip. Mid-song, they change it up, stripping away that jangle for a heavier guitar tone. One of the many things that makes this track great, along with others here, is that instead of stopping short, as many of the tracks from their EP did, they continue to grow the song a bit, fleshing out all the details. It’s hard to skip ahead when all this goodness hides in wait. Yet another change that is sure to win over many new fans is the element of softly strummed guitar. First, you have the short ditty “Out of My Depth,” which has Tyler questioning himself over that lightly played guitar. Short and sweet, to the point, and enjoyable all the same. Closer “All That I Want” also utilizes a similar style for the greater part of the song, illustrating the strengths of Womack’s voice. Once again, the band pushes the song into new areas they haven’t visited before, at least not on recorded material, when they hit the 3 minute mark (roughly). The rest of the group joins, and a guitar solo swings in to provide a different dynamic altogether. Ryan joins in on the fun in the end, carrying us out on a high point. 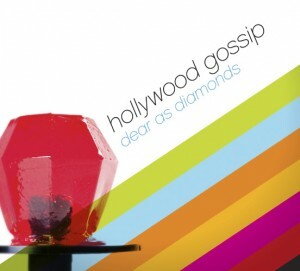 Hollywood Gossip really hit the high-water mark with Dear as Diamonds. In drawing from their pasts whilst pushing forward, they wrote a collection of songs so enjoyable that not a one of them should be skipped over. The past gave me fuzzy feelings listening to the group, but now I’m sure that I’m in love with this band. You should be too! All good things must eventually come to an end right? Well it seems fitting that the farewell show for legendary indie Austin band Voxtrot takes place at Emo’s on Thursday night. The ATH crew has been watching the band their for years and we will of course be in attendance to send them off in style. Voxtrot will have opening support provided by Cry Blood Apache and International Waters. Later guys. You will be missed by all. Sad news today in the Internet land as word has broken that much-loved Austin band Voxtrot have decided to call it quits. You can read about it HERE from the man behind it all, Ramesh. There doesn’t seem to be a huge response yet from the Austin scene, but rest assured that this is a band that will be sorely missed. Personally, the last time I saw them was a few years back at a show over at Emos. I remember being really impressed by opening band Beirut, but it was all forgotten as Voxtrot took to the stage. Their live shows were always a blast, while the whole band sang along and smiled. Feel free to leave a comment with your favorite memory of the band. Farewell friends, you leave a hole in our scene. Fun Fest aftershows are pretty slim pickins this year, but Saturday night at Mohawk has a nice little lineup of big name local talent. Your outdoor stage will feature Voxtrot and Octopus Project while indoor talent includes Coathangers, Twin Tigers, Walter Schiriefels, and Jazzus Lizard (Jesus Lizard jazz tribute band). Should be a good time if you’re still standing after day one of Fun Fest. Make no mistake about it, Voxtrot is one of those great Austin bands that seems to have disappeared for far too long, but the past year has shown some activity on their end. 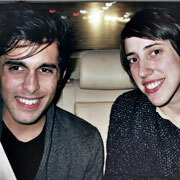 The band has just recently released a new 7″ titled Berlin, Without Return. It’s limited edition, and it boasts this great song, which sees the band fleshing out their sound with a little orchestral flourishes. Buy it.